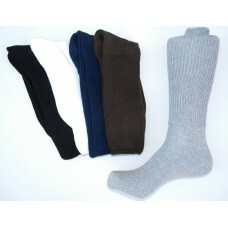 This 100% cotton diabetic socks are good for people with swollen feet as well as diabetes. 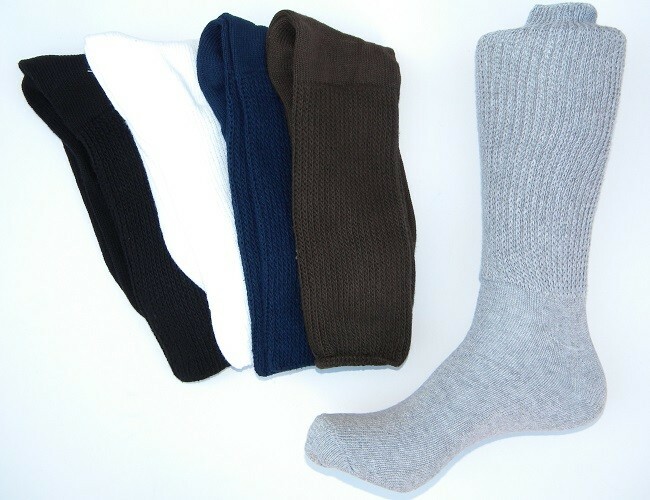 Honey combe design of this pure cotton sock allows the top to expand up to 19 inch to fit around the largest of calf's with little inward resistance . There is no thick top elastic band on top. There are about 4 single strands of elastic in the honey combe portion of this sock to keep it in place. This is one of our best selling socks. But from Toe to ankle its all 100% percent cotton. Above the ankle just a few strands of nylon to keep sock up. Made in the U.S.A.